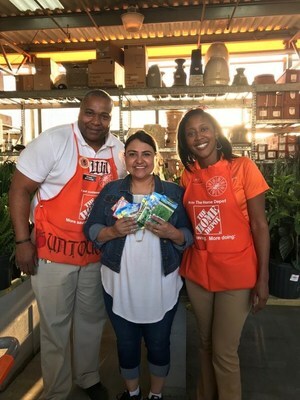 Lancaster, TX/Lancaster ISD – When Pre-K Bilingual Teacher Dolores Martell agreed to sow her time into sponsoring the new garden club requested by a class of third grade students on her campus at Houston Health Science Technology Academy, she was not aware that she was about to reap a reward of kindness just down the street at her local Home Depot store in Lancaster, Texas. Martell briefly shared that it was for a student garden club and what happened next truly surprised her. Home Depot District HR Manager Amber Blair quickly reached store manager Will Jones and Home Depot donated 45 seed packets. In addition to the seed donation, The Home Depot staff has helped to provide a new life experience for these Lancaster ISD third grade students and Martell. Martell said that the garden club started the week before spring break this year when a couple of third grade students wrote a letter to the principal asking for the opportunity to plant a garden. Now, Martell and the student gardening club have created garden boxes, tilled soil and began the planting process. The student garden will both vegetables and flowers. Principal Tatanisha Sparks shared the all-round benefits of the gardening club and how it supports student learning and socialization. 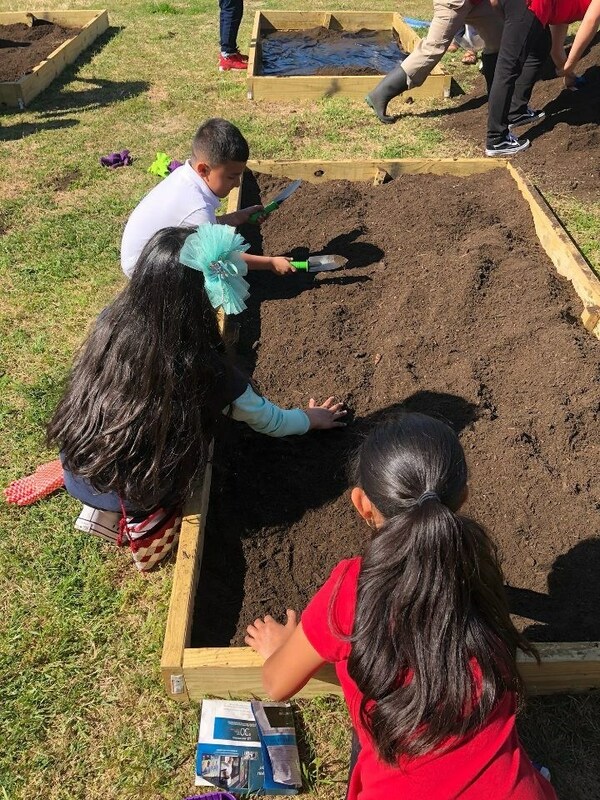 Lancaster ISD aims to create rigorous, relevant experiences for students and for Mrs. Sparks, the new student garden club is another opportunity to extend their learning beyond the walls of the classroom.